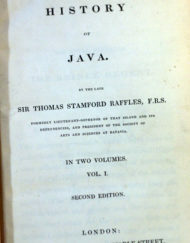 Title: Memoir of the life and public services of Sir Thomas Stamford Raffles, particularly in the government of Java, 1811-1816, and of Bencoolen and its dependencies, 1817-1824 : with details of the commerce and resources of the Eastern Archipelago and selections from his correspondence. 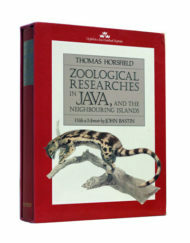 Publisher: Oxford University Press, 1991. 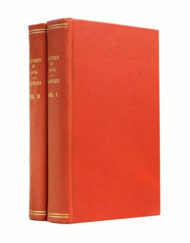 Facsimile of very rare 1830 publication. Scarce. 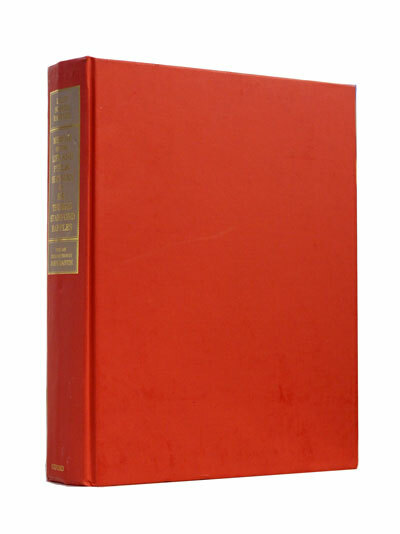 Condition: Hardcover, red cloth. A few light scratches on cover, a dent running along spine, otherwise like new. Big and heavy book. 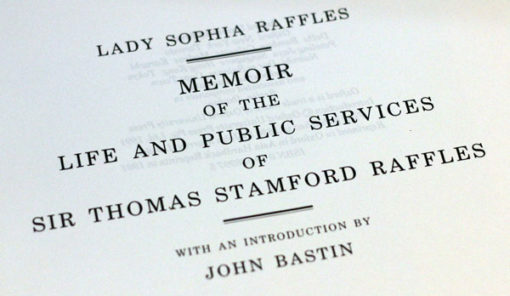 During his last voyage back to England, the ship of Sir Thomas Stamford Raffles (1781–1826) caught fire, consuming many of the papers from which future biographers might have worked. 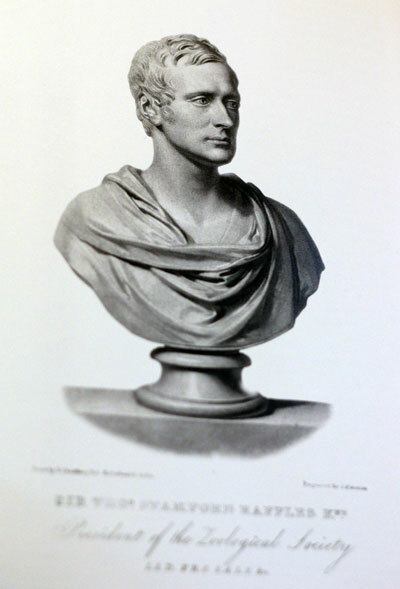 When he died two years later, the task of sifting through the surviving materials and recording his life and career fell to his widow Sophia (1786–1858). 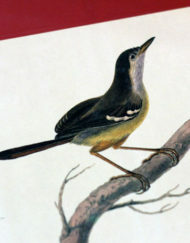 Her substantial biography, first published in 1830, remains an essential source of information about one of the key figures of British colonialism in the East Indies. 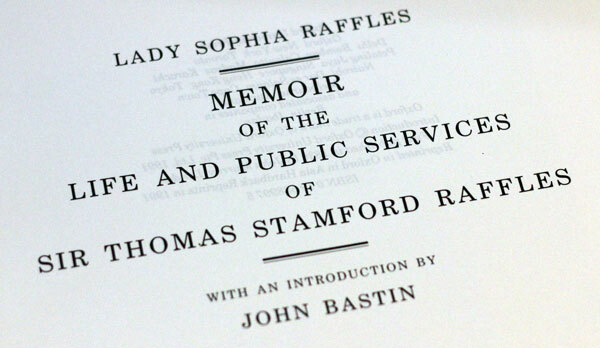 At the centre of the book, interspersed with many of her husband’s letters, is Raffles’ struggle against his Dutch opponents, with whom he clashed on ideological grounds – he noted with distaste their mistreatment of the local population and their advocacy of slavery. 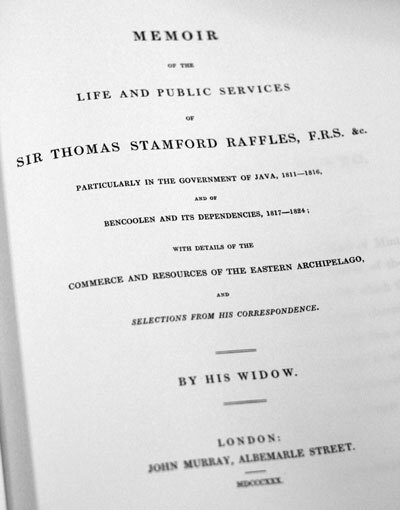 It was this rivalry which convinced Raffles to found Singapore as a trading post.